A Great Website Design Invites Visitors to Explore. 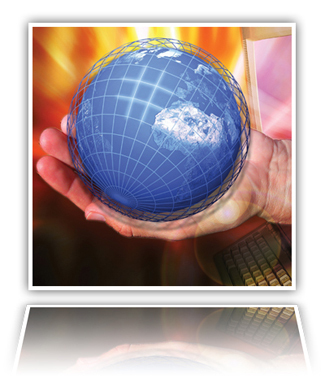 The world wide web has become a permanent part of our lives both personal and professional. Todays successful businesses realize this and harness the unlimited potential of the internet. Whether your business is a brick and mortar retail chain, a mom and pop shop or a service oriented business, you need a website. Your website will become one of your most valuable marketing tools. Gone are the days when all you needed was your business card and a handshake. Todays clients want to find you on the web. They want to know as much as they can about you before they sign that contract. Your website should reflect your professionalism and also your personality. Websites not only can inform you clients, but can also increase sells. E-commerce has become a multi-billion dollar business. If your interested in bring your business to the web or you want to upgrade the capabilities and look of your current website then give us a look... A Winning Look! Every business is different and as such, a cookie-cutter approach to web development should be avoided. You've invested a great deal in your business and you want the best results from your web presence. At A Winning Look, we believe that your website should be one of your most valuable tools in marketing your business. Like individuals, each business has its own personality. It has a way of doing things that make it unique from all other businesses, including competitors. Your website should be in its best dress and ready to knock the socks off of your clients. At A Winning Look we can dress and give your website the proper tools to help you succeed. Let us give your business' website A Winning Look! Websites of today are expected to do more and more. In the early days of the World Wide Web a website was little more than a rudimentary brochure. Now, your website can operate as an employee making sales 24/7 around the globe. Not only can it keep track of important data and allow multiple locations to communicate, it can track and update information that affects the whole organization. Whether your company needs to sell widgets or keep up-to-date with each office you need a website that has A Winning Look! Nonprofit organizations help our communities. Whether they are saving the Rain Forest or helping a teen in trouble they bring a value to our community that is hard to measure. Few things are more fulfilling than the selfless acts of service of good hearted individuals who wish to contribue to their community. For this reason we offer special discounts for these organizations. If you have an organization that needs a website or if your current website needs a facelift, together we can make a difference. Together we can help give our community A Winning Look!